For the first time, some selected richayen of the four Vedas is being presented in the form of Musicassettes and Compact Discs Gayatri Mantra, Shanti Mantra, Sukh Mantra, Siddhi Mantra, Stuti Mantra, Aradhana Mantra, Prathana Mantra, Aryaved Gyan, Bhrahman Gyan, Parmatma, from Atma to body knowledge with social phenomena, through the Vedas in the earth are incarnated from the voices of the devas. The richayen selected richayen, for the welfare are derived from where the devas reside. Before the start of each day and before the commencement of any ritual and functions or during the course of the day, hearing of this richayen, Riddi, Siddhi, Mangal (welfare), Subh (good wishes), Swastha (health), Sampada (prosperity), Sampatti, (wealth), Shanti (peace), Gyan (knowledge) and Bhakti (devotion) is gained. Desire for Purity Suktas etc. Vedokta Sukta, Rudra Sukta etc. For the first time, some selected richayen of the four Vedas is being presented in the form of Musicassettes and Compact Discs Gayatri Mantra, Shanti Mantra, Sukh Mantra, Siddhi Mantra, Stuti Mantra, Aradhana Mantra, Prathana Mantra, Aryaved Gyan, Bhrahman Gyan, Parmatma, from Atma to body knowledge with social phenomena, through the Vedas in the earth are incarnated from the voices of the devas. The richayen of the Vedas are the narration of the devas. We are trying to present this pack of 8 Mcs and Cds through selected richayen, for the welfare of the masses and benefit of mankind. 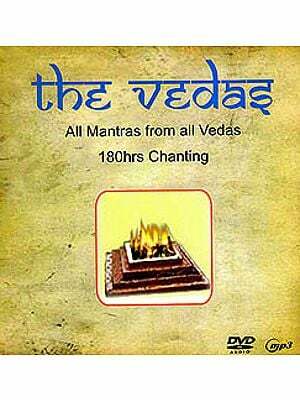 The richyen echo where the Vedas are chanted, and it is here the devas reside. Complete peace, happiness, goodwill and welfare are derived from where the devas reside. Before the start of each day and before the commencement of any ritual and functions or during the course of the day, hearing of this richayen, Riddi, Sidhi, Mangal (welfare), Subh (good wishes), Swastha (health), Sampada (prosperity), Sampatti (health), Shanti (peace), Gyan (knowledge) and Bhakti (devotion) is gained.